Sea Watch only uses Loligo (calamari), which is naturally creamy, white and tender. Calamari has become increasingly popular because it is sweet, versatile, and easy to prepare. Sea Watch carefully selects the finest calamari and breads it with a classic Italian breading for the foodservice market. 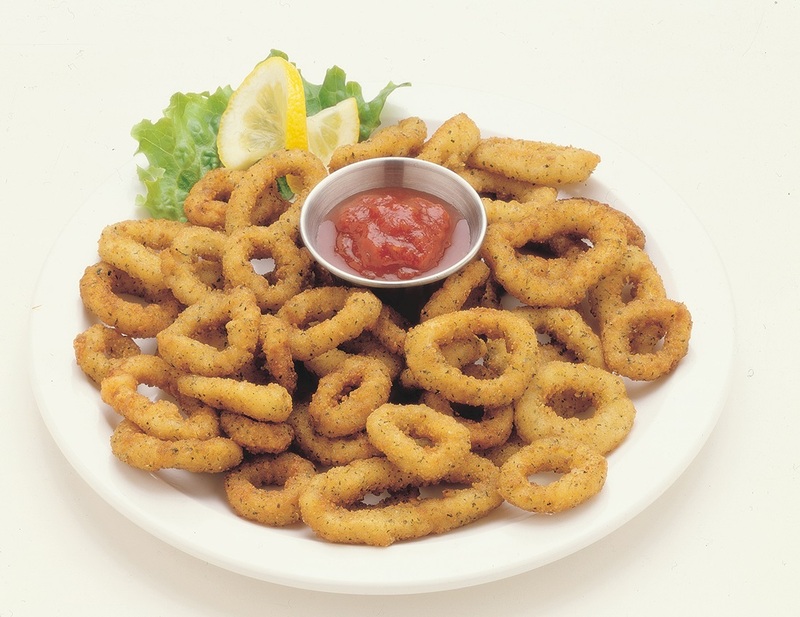 Our Italian Calamari Rings have consistent breading and batter coverings allow a more uniform appearance and sweet taste. Made with our fresh breaded process, which allows you to cook the calamari for the very first time! KEEP FROZEN: until ready to use – do not refreeze. Squid rings, wheat flour, bleached wheat flour, water, corn flour, corn starch, salt, whey, sugar, baking powder (calcium acid phosphate, baking soda, corn starch), leavening (sodium acid pyrophosphate, sodium bicarbonate), yeast, dextrose, soybean oil, parsley, guar gum, garlic powder, onion powder. Sea Watch QM31 – 2/5 lb.